October 8th, 1918—amid the last of the Allies attempts to the Germans, Sergeant Alvin York of Tennessee, found himself and his platoon of only seventeen men trapped in the thick of heavy machine gun fire. Rather than retreating or calling upon the artillery to take out the nest, York single-handedly took out twenty-five Germans, dropping them one-by-one, and captured many more. This is only one of the many tales of York’s famed heroism, which were heralded as some of the most impressive battle stories in history of modern warfare. 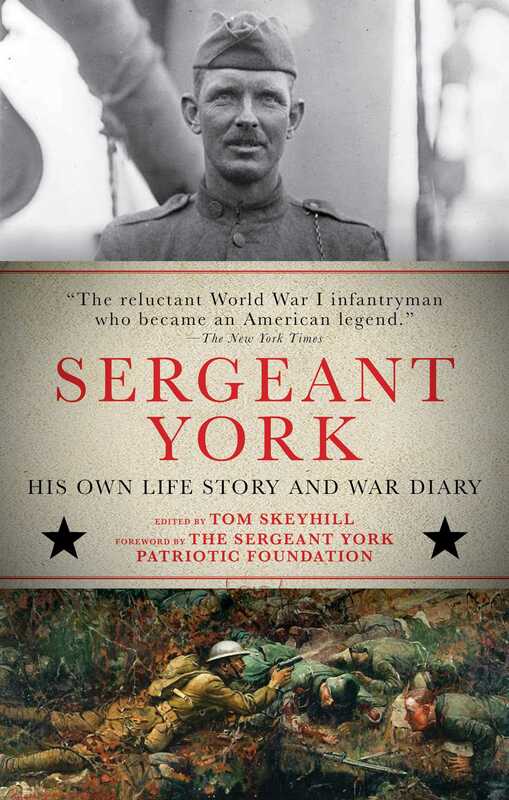 Sergeant York contains the legendary soldier’s war diaries, which offer up-close snapshots of his fabled military career. Included in this new edition of a classic work are new forewords written by York’s son and grandson, which provide both personal and historical recollections of their predecessor. In Sergeant York, experience the fascinating life of an American hero.